Learn about the unique features of OLFA tools and how they can improve your cutting. Hi, I'm Beth. 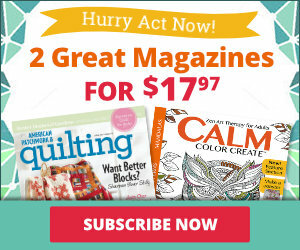 And we quilters know how time-consuming cutting fabric can be, which is why there are so many rotary cutters. But luckily for us, OLFA created a rotary cutter that has got some great features that really can save us time. I know it's one of my favorite tools because of these things. The first one is the blade and that's really the main thing. It's made of high quality steel, so it just zips right through fabric. I've got about four layers here, and it just goes right through. It's also razor sharp and it keeps its edge really well, which means you aren't going to have to change the blade as often. Now when you do need to change your blade, it's really easy. OLFA has this great one-touch blade removal system. You just slide its back, the blade pops out, bring that over there, put your new one on, slide it back on, close it and you're done. 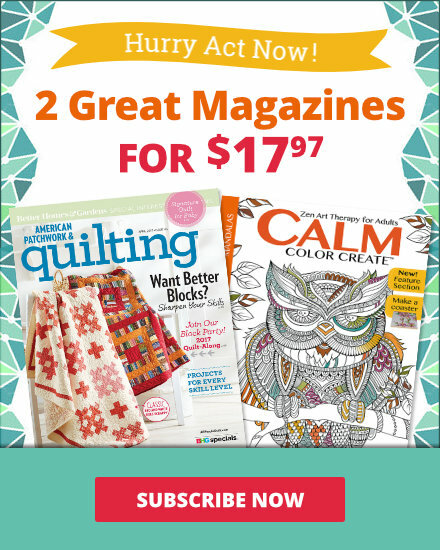 You can just get right back to quilting in no time at all. And another great thing is you can use it right- or left-handed simply by using the sliders here when sliding the guards. Now you can see I've got my fabric on an OLFA mat. And it's got a special feature as well. So I'm just going to lay my fabric out here so you can see that. Now watch this. This is great. You can just cut and turn the surface; the fabric comes to you. No more running around the table following that fabric around and chasing it down. Nope, it just comes to you. 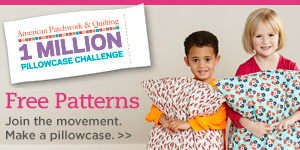 Now I know as a new quilter this has really helped me cut down on the time it takes for me to cut out my shapes. So we've got our perfect squares. Sturdy, sharp and easy to use. 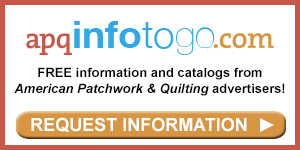 I think quilters will love the features designed especially by OLFA for our needs.